Express your artistic nature in sculpture by creating small stone carvings. Some of the most well-known sculptures were carved from stone, such as the ancient Greek "Venus de Milo" exhibited at the Louvre Museum and Michelangelo's "Pieta" found in Saint Peter's Basilica. Start a small stone carving project, especially if you are new to the medium, with stone carving diamond tool such as mallets and chisels. Choose softer stone like soapstone and alabaster, which are available from art supply stores or stone quarries. Firstly, examine the sandstone you wish to carve. Sculptors either find stones to match a form they want to create or work around a particular stone they are attracted to. 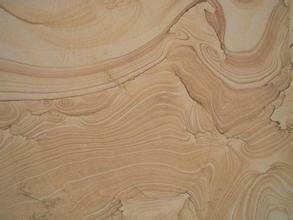 Choose a soft stone in a color you like and think of what you can carve out of it, such as a figure or abstraction. Secondly, sketch, with a pencil, a drawing on paper of what you want to make. Consider the size of the carving and its view from each angle. Once you are satisfied with your drawing, mark your stone with a pencil. Add lines all over the stone where you plan to carve to help you translate your drawing into your stone. Thirdly, place your stone on top of a small sandbag slightly larger than the stone. This cuts down on the vibration to the limestone when you hit it, and prevents it from breaking. If the stone is smaller than 6 inches wide or tall, you may need to place it into a vise to hold it down. This prevents the stone from moving about. Fourthly, wear safety goggles, earplugs, dust mask and leather gloves to protect yourself from flying dust and debris. Drill a starter hole with a masonry bit to help you get started. Soapstone is soft enough that you do not need this, but harder stones may need some help.